We accept payment via VISA Debit, VISA Credit, Mastercard and Electron. We use trusted, reliable Next Day couriers for UK mainland deliveries. Non-mainland UK or UK outer-zone's approx 1-3days. We use secure, discreet packaging for all orders. We've compiled a number of great facts and tips on Hydroponics, check out the Growing Information page for frequently asked questions, information on nutrients and more. New data protection regulations are coming into force on 25 May. We will not be able to send you e-newsletters (or other emails) unless you 'opt-in' to receive them. You can change your mind at any time by clicking the unsubscribe link in the footer of any email you receive from us, or by contacting us at sales@somhydro.co.uk. By adding yourself to our Newsletter you are agreeing for us to hold your information securely. Please see our Terms & Conditions - Privacy & Cookies at the foot of our homepage for how we handle any customer information. 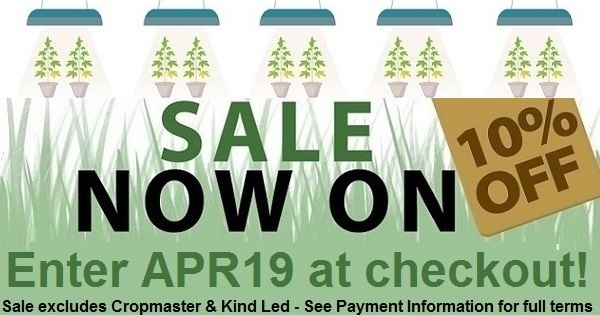 Established in 1999, we continue to offer competitively priced Hydroponic and organic gardening products with experienced advice to help you obtain maximum results. There are many good reasons why we are still here nearly twenty years later so please see our Feefo customer reviews and also take a moment to read About us above to find out what those reasons are! A selection of new and best selling products!